viaLibri ~ Secret Minutes of the Dutch Political Council, 1762. Part I: Translation. Part II: Dutch Text. 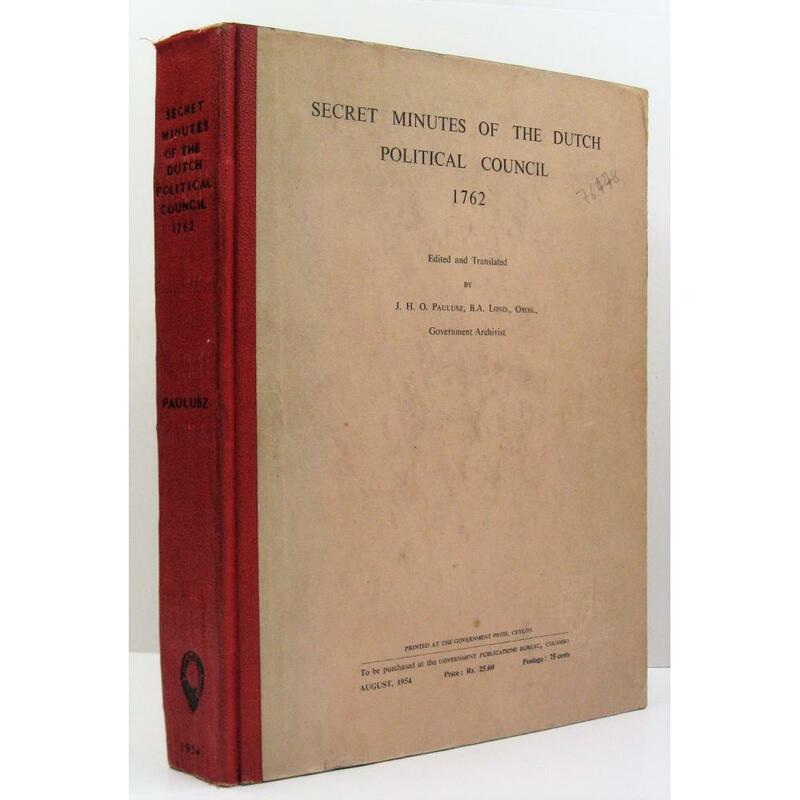 Secret Minutes of the Dutch Political Council, 1762. Part I: Translation. Part II: Dutch Text. Colombo 1954 - pp.349, 3 plates A very good ex-library copy in the original cloth-backed boards.